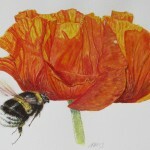 A website celebrating the beauty of British wildlife by the wildlife artist, Cath Hodsman. 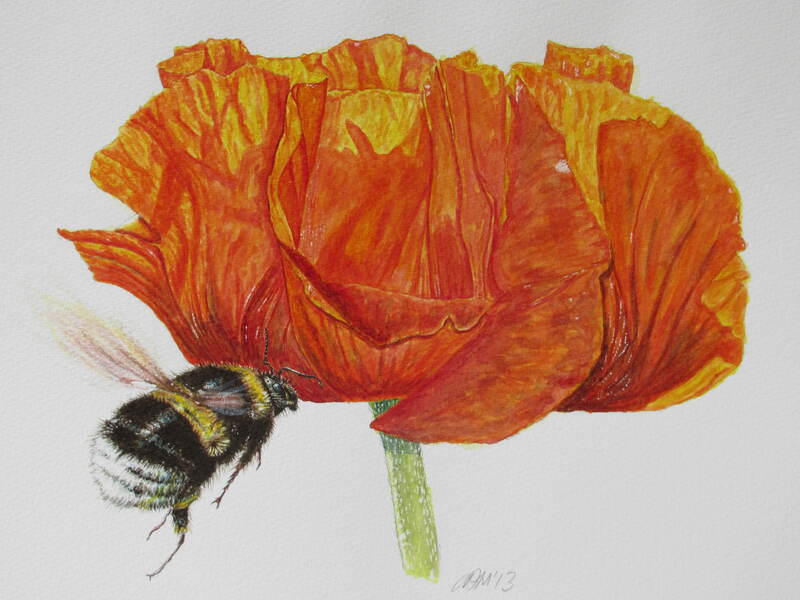 On this site you can read about the conservation work of Cath through her wildlife art, as well as having the opportunity to make a difference to British wildlife conservation by purchasing examples of her art. Any Art work may be purchased by emailing Cath on cathhodsman@gmail.com . There may be an extra charge for overseas postage. 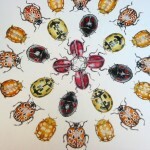 This watercolour painting celebrates the beauty and diversity of of British Beetles. 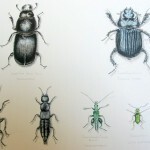 Lesser Stag Beetle (Paralellopipedus), Minotaur Dung Beetle(Typhaeus typhoes); Black Ground Beetle (Pterstichus madidus); Rove Beetle (Ocypus olens); Thick Legged Oil Beetle(Oedemera nobilis); Spanish Fly(Lytta vesticatoria); Silver-Green Leaf Weevil (Phyllobius argentatus). Original, sold. Mounted, limited edition print 16″ x 20″, £45.00, plus P&P.Unmounted print, £25.00, plus P&P. To order, see instructions at the top of the page. 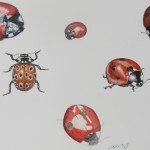 “Sketchbook Ladybirds” A lovely medley of British Ladybirds, featuring, the 7-Spot,Coccinella septempunctata; The Eyed Ladybird, Anatis ocellata anf the Two-Spotted Ladybird, Adalia bipunctata Original watercolour, £220.00, plus P&P. Mounted Limited Edition print, £45.00, plus P&P. Unmounted Limited Edition Print, £25.00, plus P&P. To order, see instructions at the top of the page. ” A Few of my Favourite Things” A delightful ladybird medley of beautiful British ladybirds. It features, The Five spot ladybird (Coccinella 5-punctata), the Eyed Ladybird (Anatis ocellata, the Pine ladybird ( Exochomus 4-pustulatus), the 14 spot ladybird(Propylea quatuordecimpunctata pela), and the Orange ladybird (Halyzia 16-guttata) Original, sold. 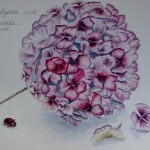 Limited edition mounted, water colour print £45.00, plus P&P. Unmounted, £25.00, plus P&P. To order see instructions at the top of the page. 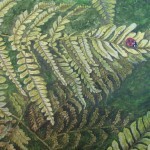 “Ladybird, Ladybird, Fly Away Home….” detailed W/C painting of a lovely Japanese Rosy Buckler Fern – Dryopteris erythrosora ‘prolifica’ and a Seven-spot ladybird – Cocinella septempunctata. Framed original painting – £220.00, plus P&P. Limited edition mounted print, £45.00 plus P&P. Unmounted print, £25.00, plus P&P. To order, see instructions at the top of the page. Hydrangeas are lovely late Summer flowers, but if their flower heads are left on after they have gone over, they provide important hibernation sites for insects like the ladybird. Original framed w/c painting, 16″ x 20″, £200.00 plus P&P. Mounted limited edition print, 16″ x 20″, £45.00 ,plus P&P or unmounted print, 16″ x 20″, £25.00, plus P&P. To order, see instructions at the top of the page. 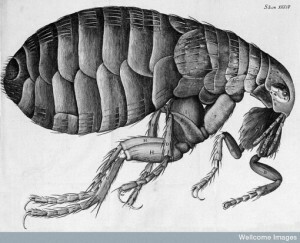 Cath writes for Royal Society of Biology, celebrating Hooke’s Micrographia. 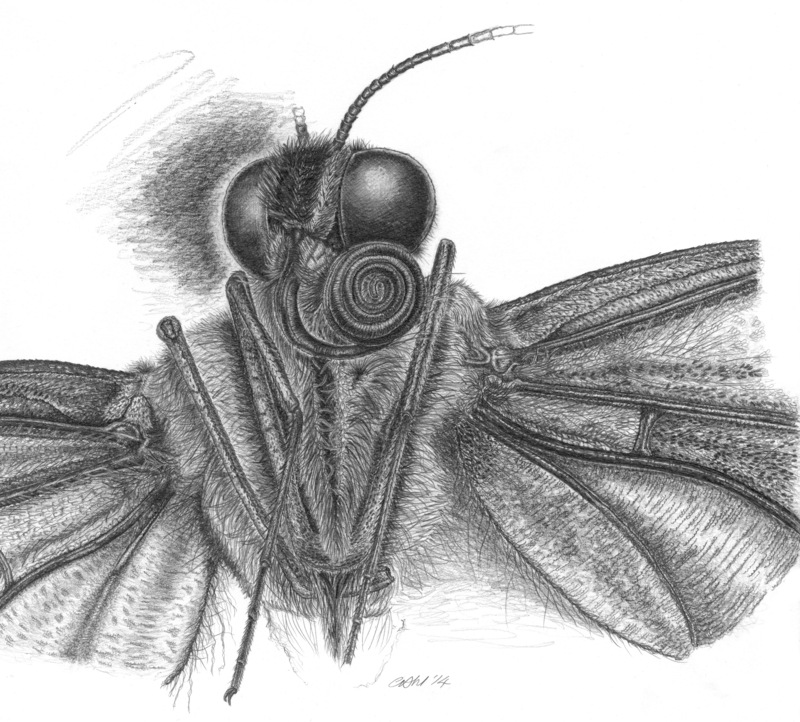 Pencil & graphite microscopy study study of a swallowtail b’fly – post mortem. To order, email on cathhodsman@gmail.com There may be an extra charge on overseas postage. Giant American Ichneumon wasp. Megarhyssa atrata. W/C and coloured pencil. 16″ x 20″, framed, £220.00, plus p&p. Limited edition Mounted print, 16″ x 20″, £45.00,plus p&p. Unmounted print, £25.00, plus p&p. To order, see instructions at the top of the page. 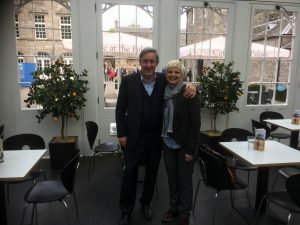 Cath met Tracy Spiers, at the beginning of the year, for an article she was writing on Cath’s work and projects as an entomological (insects) artist, illustrator, conservationist and educator. It was my privilege to interview Cath Hodsman, a skilled and widely acknowledged British wildlife artist, who lives in Gloucestershire, for Cotswold Life, this morning. Her work is in many specialist wildlife and natural history venues, including the most famous museum, The Natural History Museum in London. Gaining an insight into an illustrator’s studio space is always fascinating and Cath’s work environment was certainly full of life in the real sense of the word. I was introduced to her 20 “Stickies” – her trusted growing family of female Indian Stick Insects – and drawers full of butterfly wings, honey bees and other specimens. 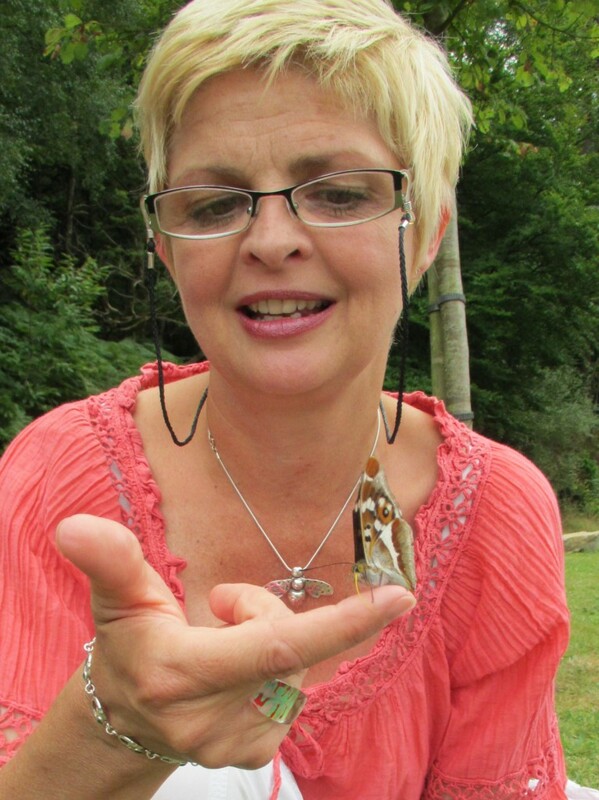 Many of them have been given to her from Butterfly House at Berkeley Castle, which means Cath has primary research at her fingertips. 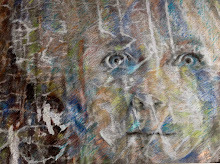 Armed with her glasses and strong microscopic glasses she looks, paints, looks, paints, until she has captured every hair, fleck of colour and stroke with her watercolours and acrylic inks. The results are stunning. They are accurate yet in a much more friendlier and delightful way than the more clinical diagram-like images one often finds in the old encyclopedias. Once I have written the feature I will post it, but one thing that struck me in chatting with Cath, is the passion and enthusiasm she has for her subject. She just loves bugs and is evangelistic in her approach. It’s not just about capturing an insect – be it a bee, a beetle or a butterfly – that she is interested in; it is sharing that enjoyment for the little creatures with others, whether they are young or old; raising awareness of their importance and raising money to ensure they are protected for the future. Cath is about to run a series of workshops to mark 2014, the Year of the Microscope. 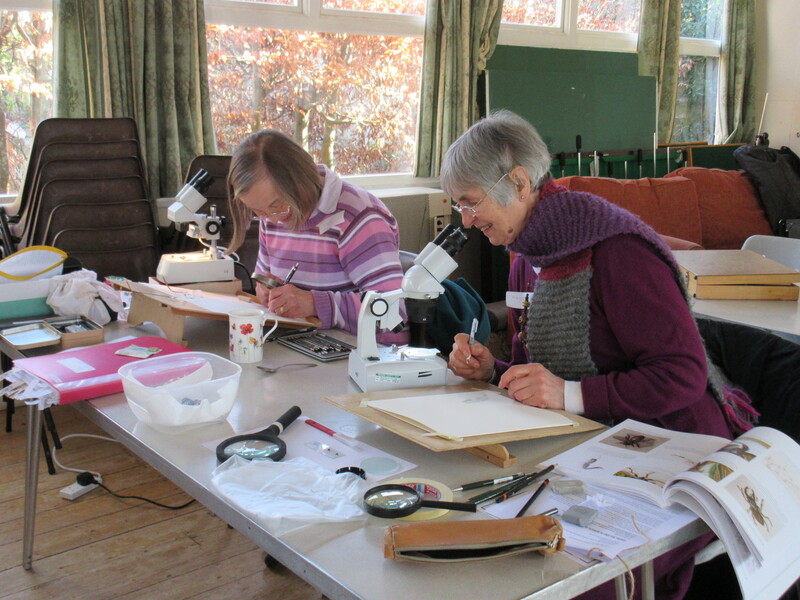 These include microscopy sketching and painting courses at The Centre for Science and Art, Stroud; Painswick Rococo Garden and Slimbridge. 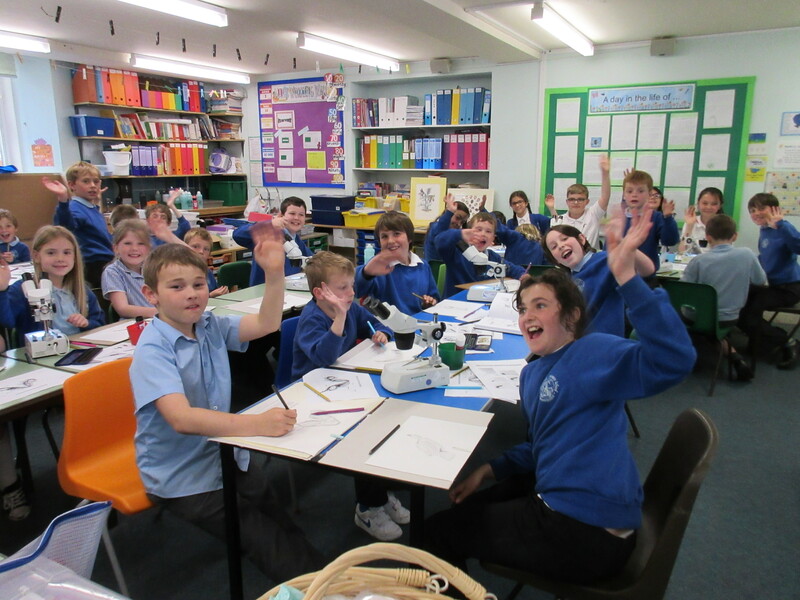 “There are several words that spring to mind when I think about what it means to me as an Artist-in-Residence……. 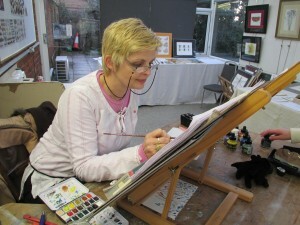 ART – I have an uninterrupted chance to indulge myself in my favourite activity – to produce a painting or sketch. 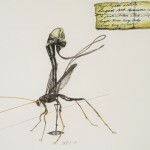 INSECTS – The subject matter of my art is usually my favourite things – insects! Such fascinating, beautiful and important creatures deserve to be recognised through the medium of art. CONSERVATION – If I choose, I can use my art to highlight conservation issues, that affect insects, such as pesticide use, habitat loss, or climate change. 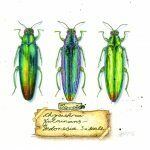 CONVERSION – So many people are averse to insects, but residences are always such as great opportunity to use my microscopes and specimens, to show people how beautiful, important, strong, diverse and fascinating insects really are. 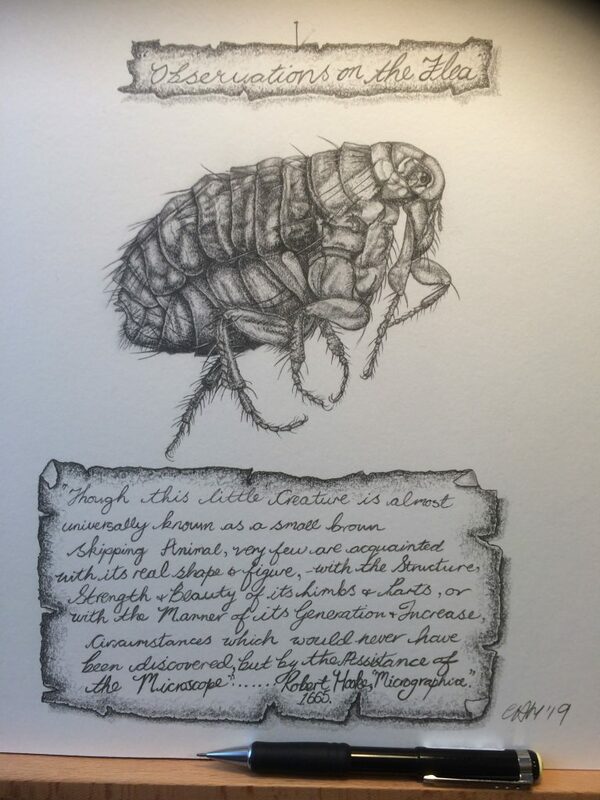 CHATS – During all of my residences, I meet so many fab people -folks who are interested in insects, art, conservation, or all three. It is always so inspirational to swap experiences, knowledge, and stories with like-minded people – and even to stay in touch with them after. INSPIRATION – As a wildlife and natural history artist, I am so lucky to be based as Artist-in-Residence at some truly inspirational venues. Places that have so much beauty, such as WWT Slimbridge, Nature in Art or Painswick Rococo Gardens serve to feed my artistic, natural history and conservation juices. One month I might be overlooking the diverse beauty of the wetlands at Slimbridge. Another month I might be taking in the serene beauty of the Painswick Valley at the Rococo Gardens or indulging myself in the genius of other wildlife artists at Nature in Art. 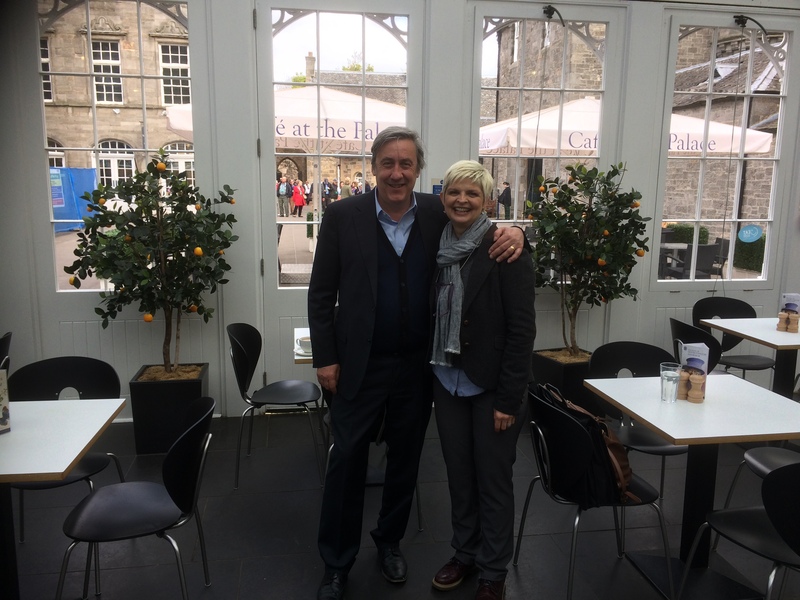 KNOWLEDGE – I love meeting the many hardworking staff, experts and volunteers who run these fab venues. There is so much to be learnt from Reserve Managers, Tour Guides, Gardeners, Species Experts, Planners, Facilitators, and Helpers. 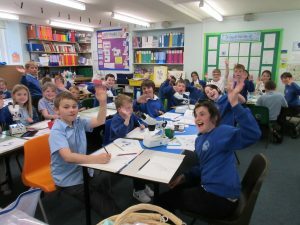 FUND RAISING – Through art sales during my residences, funds go back into supporting these fantastic hosts, to enable them to continue to carry out their important work. Her comments really helped and the mixing of passions particularly rung true. I love capturing stories, meeting people, making quirky, bright, detailed illustrations, raising awareness and uplifting people too. So this is a great starting point to help me focus on the next stage of my artistic career. 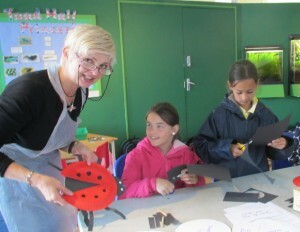 These are the dates booked, in which Cath will be running insect-related arts and crafts sessions or microscopy workshops for young entomologists and bug fans……. 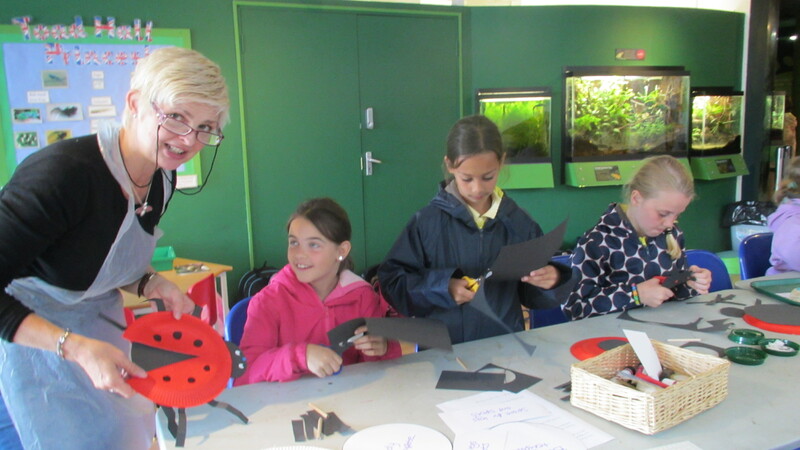 25th October 2017 – Corinium Museum, Cirencester – As part of her mini art/insect exhibition at the museum running from 16-30 October, Cath will also be staging another of her hugely popular “Incredible Insects!” art/insect events for young people on the above date. For more info, please ring the museum on 01285 655 611. ….Please watch this space as new dates are added regularly. 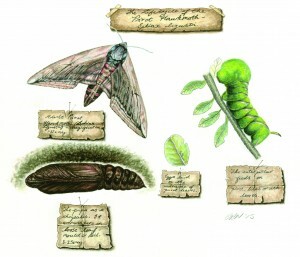 Natural History Museum – Spotlight on Cath’s work. British arachnids.British arachnids.British arachnids.British arachnids. 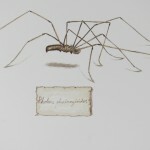 Pholcus phalangioides- Daddy Long Legs Spider – Commission completed for Countryfile Magazine. Original framed w/c painting £200.00, plus P&P 8.75″ x 12″. Mounted Limited Edition Print 16″ x 20″ – £45.00, plus P&P. Unmounted Limited Edition Print. £25.00, plus P&P. To order, see instructions at the top of the page. 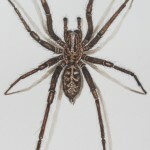 Tegenaria duellica – Giant House Spider- This commission was painted for Countryfile Magazine. Original framed w/c painting 16″ x 20″- £220.00. Limited Edition Print 16″ x20″ £45.00, plus P&P. Unmounted Limited Edition Print, £25.00, plus P&P. To order, see instructions at the top of the page. Cath and Andrew, filming on set. 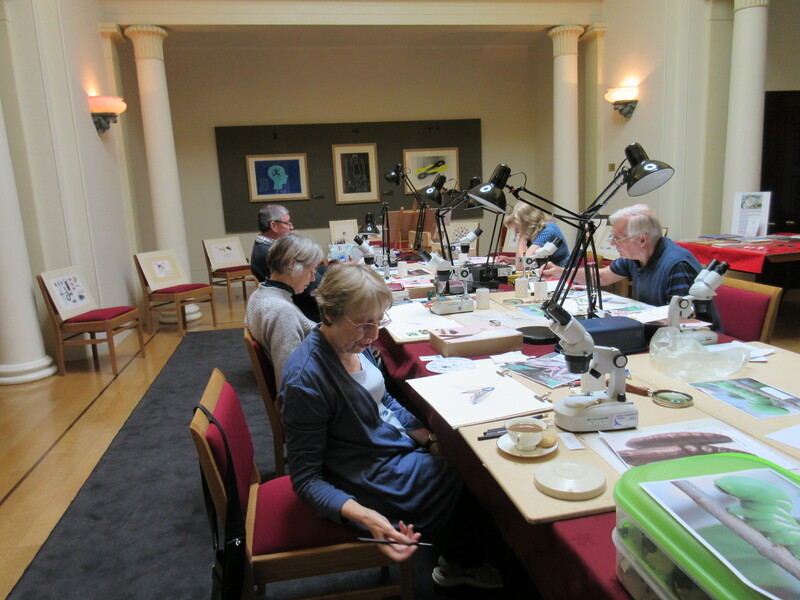 Some of Cath's arty/butterfly fans and students on her weekend teaching butterfly art in The Queen's Gallery, Buckingham Palace. Her workshop was laid on to compliment the Maria Merian Exhibition - The pioneering female artist from the 1600's, who was one of the first to study and catalogue the beauty of the metamorphic lifecycle of butterflies and moths - The beautiful Redgrave room is where Cath's workshop was held. She also involved some of her friends from the Natural History Museum, making the event even more special and unique. Cath is looking forward to next year when (hopefully) they ask her back again. 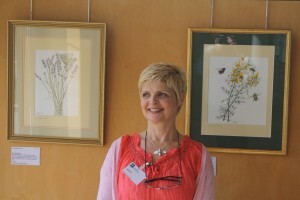 Cath is an Associate Member of the Royal Society of Biology. 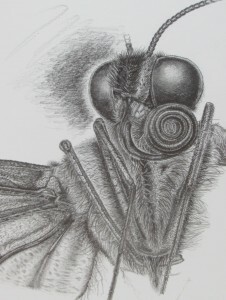 They recently asked her to write a blog explaining her passion for entomological microscopy art - How she pays homage to her beloved insects through the medium of art and by striving to obtain 100% anatomical accuracy in her intricate and beautiful studies......Click here to read more.... http://societyofbiologyblog.org/drawing-the-invisible/ Microscopy study in pencil & graphite of the head of a swallowtail butterfly. 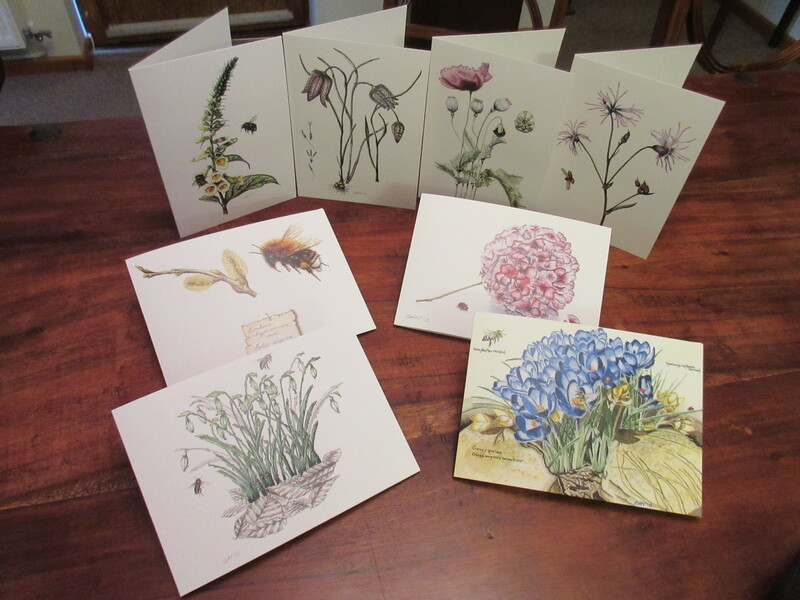 Cath launches new range of beautiful Botanic Greetings Cards. Cath has launched a new beautiful range of Botanic Greetings Cards, to go with her other existing series ...... http://www.cathhodsmanwildlifeartist.com/latest-wildlife-art-news/ This new range celebrates British wildflowers and trees that offer pollen, nectar, habitats and beauty in our natural world. All are printed on FSC registered paper. For more info, click on the link.